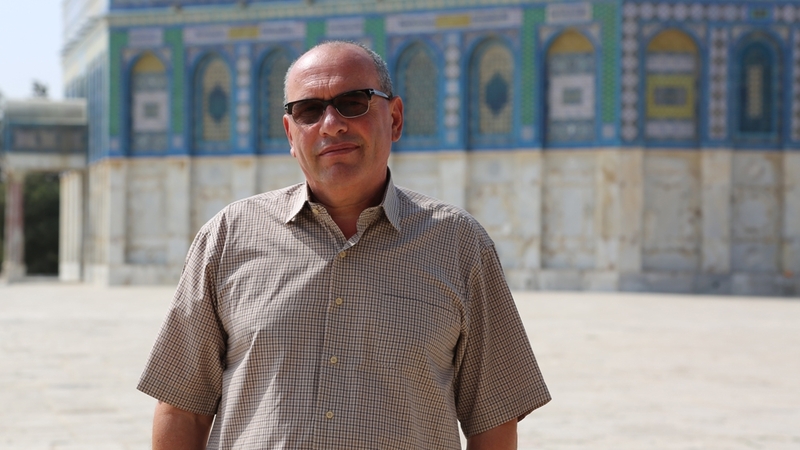 Occupied East Jerusalem – Mazen Jabari was heading towards the Yabous Cultural Centre in occupied East Jerusalem to deliver a presentation on al-Aqsa Mosque, when he received a phone call advising him not to come. “The Israeli police stormed the place, and they’re looking … to speak with you,” Jabari, a researcher with the Arab Studies Society NGO, recalled the Yabous Cultural Centre’s director telling him in late August. Israeli police and intelligence had arrived an hour before the scheduled start of the al-Aqsa lecture – which was intended to raise questions about Jordan’s custodianship over the holy site – and ordered the centre’s director, Rania Elias, to shut it down, claiming it had been organised by the “terrorist organisation” Hamas. Jabari believes the event was cancelled because Israeli authorities did not want certain information disseminated to the public: “The two governments [of Israel and Jordan] have an interest not to discuss this type of information in front of the Palestinian public in Jerusalem after what happened in July,” he said, referring to recent protests over Israeli measures of control at al-Aqsa. The cancellation and closure of the Yabous event, however, is by no means an isolated case. According to the Jerusalem-based Civic Coalition for Palestinian Rights (CCPRJ), it is part of Israel’s broader effort to Judaise the city. Since 2001, the group found, Israeli authorities have temporarily or permanently closed at least 35 Palestinian public institutions and NGOs in occupied East Jerusalem. Among them are the think-tank Orient House, which served as the headquarters of the Palestine Liberation Organization in the 1980s and 90s; the Palestinian National Theatre; the Jerusalem Chamber of Commerce; the Agricultural and Industrial Chamber of Commerce; the Arab Studies Society; the Higher Council of Tourism; and the European Union’s Small Projects Centre. Orient House was forced to close its premises in occupied East Jerusalem in 2001, and Israeli authorities have renewed the closure every six months, prompting the think-tank to move its offices to the neighbourhood of Beit Hanina. The Arab Studies Society and the Jerusalem Chamber of Commerce have also been forced to relocate. Rights groups have condemned the closure of Palestinian institutions as a violation of international law and an attempt to stifle Palestinian political, social, cultural and economic development in occupied East Jerusalem. “The UN Human Rights Committee has repeatedly criticised Israeli counterterrorism legislation for the vagueness of definitions, ambiguity of language and evidentiary presumptions,” the CCPRJ said in a statement. Health unions have not been exempt from the closures. In 2015, Israeli police and intelligence ordered the Palestinian Health Union in occupied East Jerusalem to close for a year, citing Israel’s 1948 Prevention of Terrorism Ordinance, which allows the military to “close any place serving a terrorist organisation or its members … as a place of action, meeting, propaganda or storage”. “For any closure, they use this excuse of security … Usually, they never give any explanation or details. They never charge anybody,” CCPRJ director Zakaria Odeh said, noting such moves are “part of putting pressure on people in the city by closing institutions that provide support to the population in different ways”. The Palestinian Health Union provides health services for Palestinian children and youth. Since 1990, it has operated a health programme in more than 60 schools, delivering medical check-ups and other services for students. “[Organisations that work] in education, culture, tourism, health – they are doing the job of the government by themselves. They are protecting the Palestinians in the city; they are protecting the Palestinian identity and preserving our existence here. 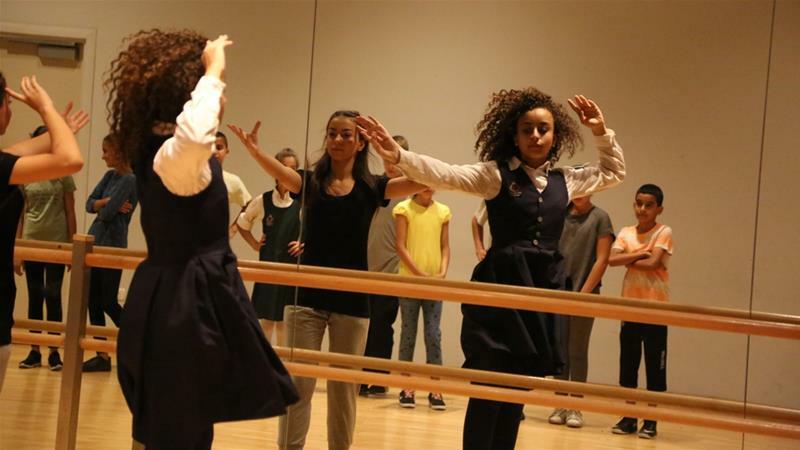 For [Israeli authorities], they don’t want to see this,” Elias said. NGOs are tasked with providing services for Palestinians in occupied East Jerusalem since, under the Oslo Accords, the Palestinian Authority is not allowed to operate in Jerusalem. In addition to the incident involving Jabari’s lecture, Israeli authorities have targeted the Yabous Cultural Centre on multiple previous occasions. In 2014, the Al Quds Centre for Legal Advice had planned an open discussion on civil service at the centre, but Israeli authorities shut it down over allegations that it was organised by the Popular Front for the Liberation of Palestine (PFLP), a Palestinian political party that Israel considers a “terrorist” group. Yabous’ annual literature festival was shut down in 2009, and a few years later, a session on the Arab Spring was also cancelled. “[The closures are done] so people feel hopeless to the situation around them,” Elias said, noting that the situation for Palestinian institutions has never been more precarious. Since the start of 2017, they are also being pressured financially, she said. Dozens of Palestinian organisations in occupied East Jerusalem – including Yabous and al-Hoash Palestinian Art Court – have received phone calls from a local bank, informing them that they need to close their accounts, said lawyer Mazen Qupty, who represents al-Hoash. This past summer, Israeli Prime Minister Benjamin Netanyahu vowed to adopt another bill to limit foreign funding of NGOs in Israel. Yabous, along with the Arab Studies Society, has received much of its funding from abroad, including from the United Nations Development Programme and the EU. Despite the obstacles, Jabari and Elias say they will continue to do their work, with Jabari planning to hold another event at a different location in the future to present his research paper on al-Aqsa.